Disciplines: Algebra, Geometry, Trigonometry, Calculus, Topology, Mathematical Analysis, and Arithmetic. 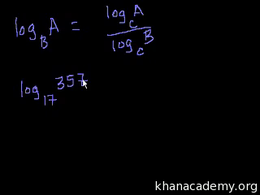 Examples of logarithms that evaluate to fractional and negative values. 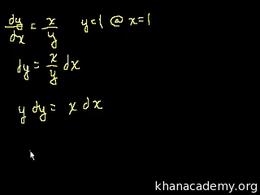 Introduction to the first two logarithm properties. 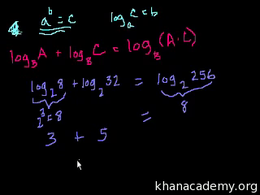 Second part of the introduction to logarithm properties.